This makes me want to produce subversive costumes. How about a “tricoteuse” costume? How about a “hang the banker” costume set? How about an “authoritarian goon” costume? Or perhaps a “War Pig” complete with medals and bloody gloves and sleeves up to the elbows, with money falling out of the pockets, and a big gold-plated F-35 neck bling? 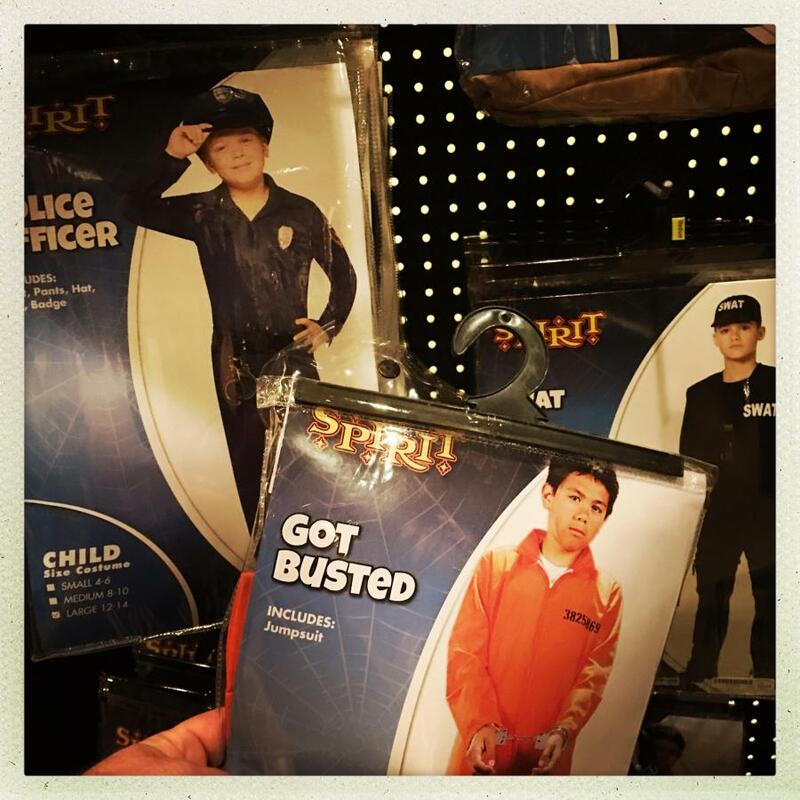 At least the prisoner costume doesn’t come with blackface make-up included. Though if it did it would be dangerously close to becoming damning social commentary, rather than just tone-deafness. Is there an accompanying wealthy private prison company CEO costume, one wonders?